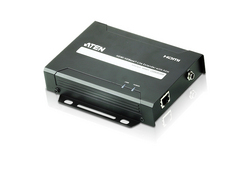 HDMI/HDBaset Extender | Simply Connect Pte Ltd. The VE802 HDMI HDBaseT-Lite Extender extends an HDBaseT signal up to 70m from the HDBaseT source using one Cat 5e/6/6a cable. 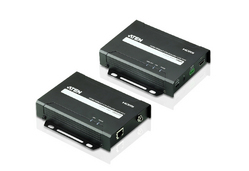 The VE802T HDMI HDBaseT-Lite Transmitter connects with HDBaseT receivers* to extend signals up to 70m from the source using one Cat 5e/6/6a cable. 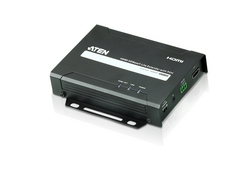 The VE801T HDMI HDBaseT-Lite Transmitter connects with HDBaseT receivers* to extend signals up to 70m from the source using one Cat 5e/6/6a cable. It supports HDMI features that include 3D, Deep Color and 4K image resolutions, plus Dolby Digital 5.1, DTS HD audio and it is HDCP compatible. 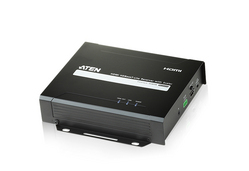 The VE801R HDMI HDBaseT-Lite Receiver incorporating connects with HDBaseT transmitters* to extend signal up to 70m from the source using one Cat 5e/6/6a cable. It supports HDMI features that include 3D, Deep Color and 4K image resolutions, plus Dolby Digital 5.1, DTS HD audio and it is HDCP compatible. The VE812T HDMI Over Single Cat 5 Transmitter supports HDBaseT technology that uses a single Cat 5e cable to extend signals up to 100 m.